The Absolute Powerpop Top 10 EPs of 2014. The Absolute Powerpop Top 75 of 2014. 34. Aerial-Why Don't They Teach Heartbreak at School? 59. The Blood Rush Hour-And Then...The Unthinkable Happened! I had hoped to have the year-end lists up starting yesterday, but they will be delayed to between Christmas and New Year's. 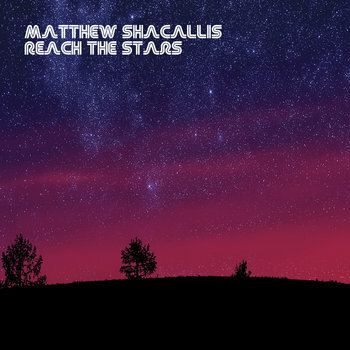 Matthew Shacallis-Reach the Stars. Aussie power popper Matthew Shacallis has crafted an impressive debut EP, recalling another power popper with the name Matthew S., Mr. Sweet. "Summer Sun" is melodic bliss, buoyed by Shacallis' Brendan Benson-esque vocals, "Tell Me Girl" recalls his "Sweet" namesake as it wouldn't have sounded out of place on Girlfriend, and "Do You Love Me" has a Zombies vibe. Easily one of the top EPs of 2014, and you can count on seeing this in next week's year-end lists. 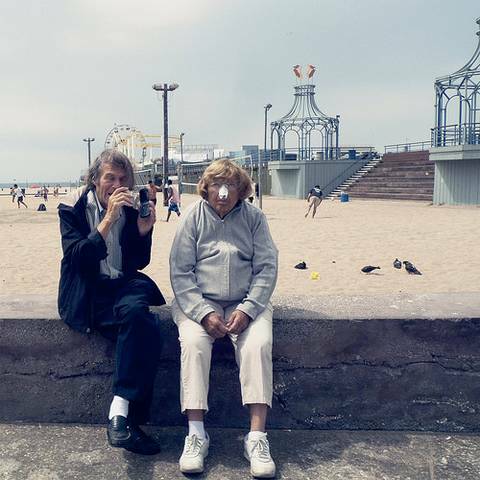 The Ships-The Summer of Our Lives. From Australia we travel to Spain, from The Ships sail with another impressive debut. This full-length evokes The Posies and Teenage Fanclub. Standout tracks include the jangly "Want", the uptempo "Second Hand Store" "Hipster"(in which they don't want of any them at their shows) and the relentless "Julia". Spain has always had a healthy power pop scene, and these guys are making it proud. The Jeanies-The Jeanies. Rounding out our trio of top-notch debuts is Brooklyn's The Jeanies, who traffic in a more old-school power pop sound reminiscent of Dwight Twilley and The Plimsouls. "I Seen Her Dance" is a rocking gem that will get you in the mood right off the bat, "It's For You" could have been an AM radio hit from the 70s, and "Believe Me Jenny" sounds a decade earlier, almost like a lost La's track. As long as artists like the three featured today keep emerging, power pop will continue to be in good hands. Various Artists-A Kool Kat Kristmas Vol. 2. 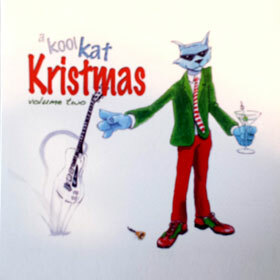 Kool Kat's 2010 A Kool Kat Kristmas was the best power pop Christmas compilation in recent years, so Ray Gianchetti & company decided to greenlight a sequel. And while it may not be as consistently great as the original, Volume 2 is another fine collection of power poppers giving us original holiday-themed tunes. The Pencils' "Christmas is Coming Again" starts things off in majestic fashion, sounding like an outtake from Phil Spector's A Christmas Gift for You, and the Honeymoon Stallions (f/k/a The Goldbergs) follow with the suitably jaunty "Snowbirds". Other standouts include the Tor Guides wishing for "Beatles Vinyl", The Geniune Fakes with the Christmas power ballad "You Always Come Back Home", Shake Some Action's typically jangly "Christmas in the Sun", and Stephen Lawrenson's unmistakeable Jeff Lynne-influenced psych-pop sound on "Glad it's Christmas". As with the first volume, proceeds from the disc will benefit the Susan Giblin Foundation for Animal Wellness and Welfare. Good music for a good cause - you can't beat that. 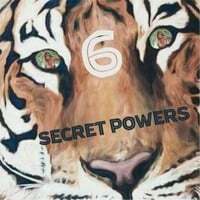 Secret Powers-Secret Powers 6. Another early Christmas present for power poppers is the return of Secret Powers. I have to admit, I was getting a bit worried about them; after releasing an album a year from 2008 to 2012, Ryan "Schmed" Maynes & the boys from Missoula, Montana had gone dark for 2 1/2 years. But they're back, and what they lacked in imagination in naming the disc they more than made up for with the new tunes. For those joining us in that time frame, what makes Secret Powers great is their heavy ELO/Jellyfish influence and knack for the great melody. The epic ballad "Bitter Sun" serves doubly well as an album opener and a re-introduction, and that leads us into the frantic and hyper-catchy "Palarium" (the most Jellyfish-esque of tracks) and the ELO homage "Spare Parts", which is half "Mr. Blue Sky" and half "Yours Truly, 2095" in its story of an android. Elsewhere, "She's Electrical" glides along on a sweet melody with all the band's attendant bells and whistles, and the closing ballad "Ready to Get Old and Die" evokes McCartney. Great to have these guys back.